R90 000 registered on the CC. In total, there are three properties on the CC and seven registered on my name. With my current job I get a house as part of my package. I got married outside community of property without the accrual system. We have one child and we will have more children. I'm thinking of moving all the property to a trust after I've paid them off by the end of next year. Is it worthwhile to pay the transfer fees? I'm going to pay huge amounts of extra tax on the rental incomes. Using a trust only for its perceived (potential) tax benefits is inadvisable. Firstly, because tax benefits on trusts (through the so-called conduit principle) may change for the worse. Secondly, because the minister of finance in his 2013 Budget Speech announced proposals which may adversely affect the very conduit principle which gives trusts their attractive income and capital gains tax benefits. Thirdly, as the trust may not be in a position to purchase - and pay in full - for properties transferred to it, taxation on the balance of loan accounts owed to you will still be done in your hands. Fourthly, the so-called attribution rules contained in the Income Tax Act may mean you could well be taxed on income and capital gains allocated to your minor child and future minor children. The transfer of unburdened properties to the trust will not only be exposed to transfer duty, but also to transfer costs and potentially capital gains tax. You should factor all of this in and set it off against potential income and capital gains tax savings. Overall, it may be a better idea to purchase new properties in trust instead of transferring existing properties to the trust. This would prevent double transfer duty and costs, and eliminate capital gains tax on such transactions. It may also, once mortgage bonds on such properties have been (largely) paid, enjoy income and capital gains tax benefits not subject to the attribution rules. 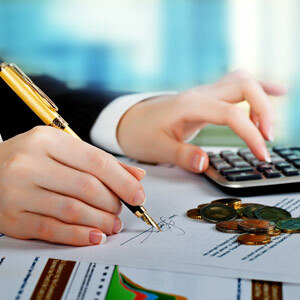 You should also consider other benefits of trusts besides tax, such as protection of assets against multiple risks, the prevention of exposure to costs associated with the administration of deceased estates, (such as executor's fees, capital gains tax and estate duty), the protection of minors, and multi-generational succession and continuity planning benefits. It is strongly advised that you see a professional trust practitioner, who will be able to help you make informed decisions on the best options for you and your growing family. A trust practitioner who is also a member of Fisa - and therefore bound to Fisa's code of ethics and professional standards - will add to your peace of mind.